Finding shelter during a tornado is vital to your survival. By the time a tornado is heading toward you, it’s usually too late to make a plan. That’s why you should know what your best option is when it comes to finding a quick tornado shelter in midst of a storm. It could literally save your life! Taking shelter during a tornado cannot be taken lightly. Very few structures can really protect you during severe tornadoes. Are you wondering where the safest place to be during a tornado is? 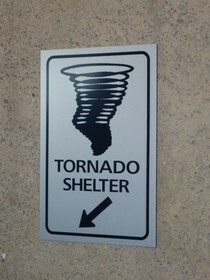 Check out this list of all the best places to seek shelter from a tornado. at home – in a storm shelter or basement (away from the west and south walls), or in a small, windowless, first floor, interior room like a closet or bathroom. 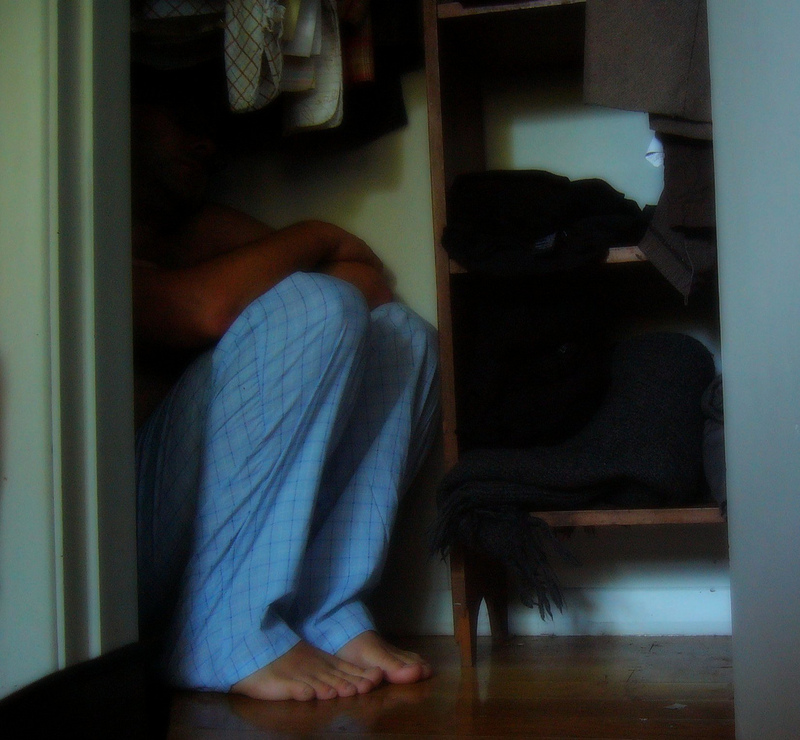 Go to your “safe place” every single time there’s a tornado warning in your area. in schools – interior rooms and halls on the lowest floor, but avoid halls that open to the outside. in high-rise buildings – interior rooms and halls or central stairwells. in mobile homes – mobile home parks may have a designated tornado shelter or a steel reinforced concrete laundry room. in shopping centers, hospitals and factories – in the corner of an interior room or hallway on the lowest floor; best are bathrooms, closets, offices, or maintenance rooms with short walls. in the car – leave the car and head for a ditch or other low-lying area like a ditch or ravine, but not under an overpass or bridge. By the way, do not open windows during a tornado (or a hurricane)! Do listen for local weather sirens and keep your weather radio and TV tuned to the local news so you’re always aware of the latest tornado watches and warnings. Do not go to sleep without watching your local news — make sure you aren’t going to bed with a tornado watch or tornado warning active in your area! Do know where the “safe place” is in your home and go there as soon as a tornado warning is announced. You may have heard that it’s wise to put on a bicycle helmet or motorcycle helmet, if you’re directly in a tornado’s path. Serious head injuries are common during tornadoes, so do everything possible to cover your head! Bike helmets and motorcycle helmets provide excellent protection from flying debris. Put bicycle helmets on kids (and adults). Put motorcycle helmets on adults (if you have them). Put on sturdy shoes, rather than wearing slip-on sandals. Put infants in cars eats. Put collars and ID tags on pets. Find your purse/wallet, keys and prescriptions and keep them with you. Along those same lines, you should try to provide as much padding and cushion between you and the strong winds and blowing debris. Use anything you can find to cover your head and protect yourself from falling & flying debris. Think about placing blankets, pillows, sofa cushions, mattresses, and large pieces of furniture over you while waiting out the storm. Ideally, you will have already made (or bought) a home survival kit. Otherwise, there’s only a limited amount of time that people can survive without the basic necessities. Finding safety is something you need to do as soon as the tornado warning goes into effect. Don’t pretend to be an amateur weather spotter! Waiting and watching can result in your being caught out in the open with little protection from a deadly tornado.